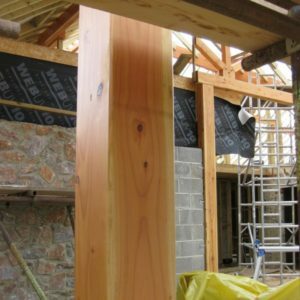 We can supply large sections of Douglas fir cut to size and ready for finishing for bespoke buildings. These are cut to size depending on what logs are available at the mill, generally log lengths are 3.6m, 4.8m and a maximum of 7.4 metres. 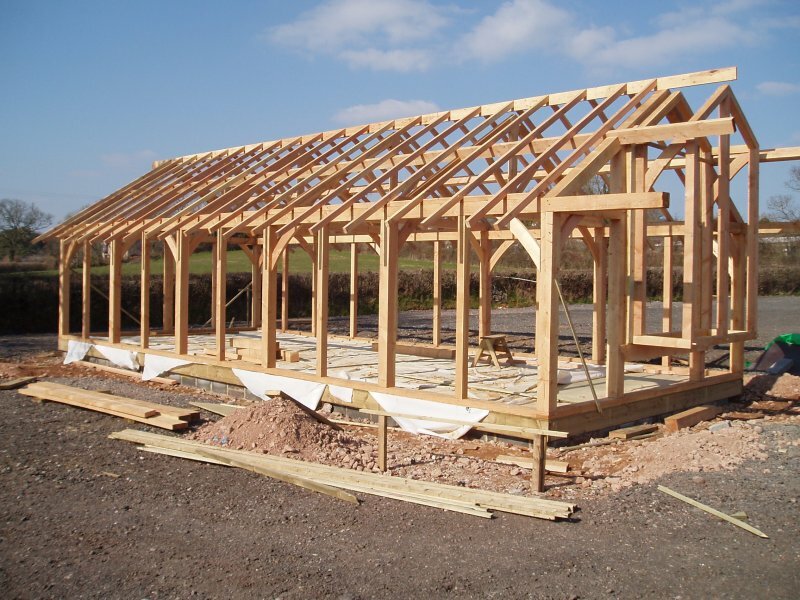 Section sizes will depend on log availability, maximum widths tend to be between 250mm and 350mm. 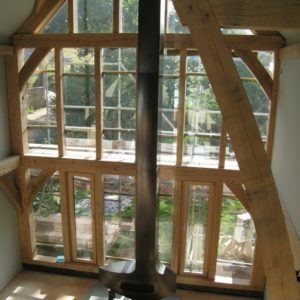 Most timber is fine sawn but some finishing will be required by the customer. 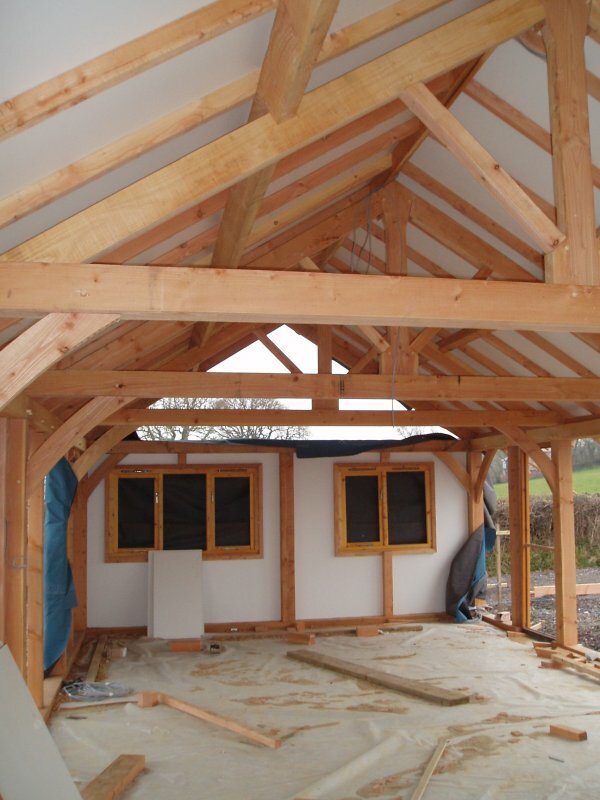 Where required these timbers can be pressure treated with Tanalith E.
Douglas Fir is an attractive timber and can be cut into large beams, purlins and posts. 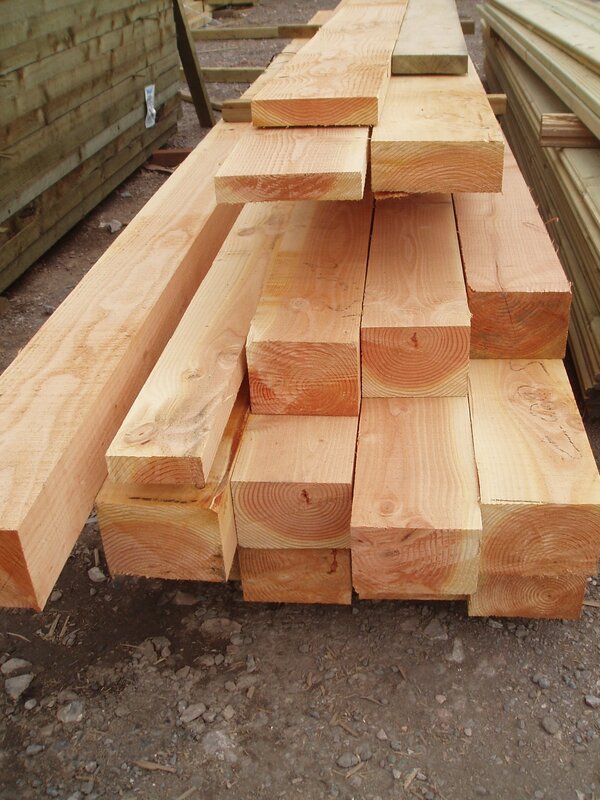 The fresh cut timber is almost pink when freshly cut but tones down to light brown, or grey when exposed outdoors. 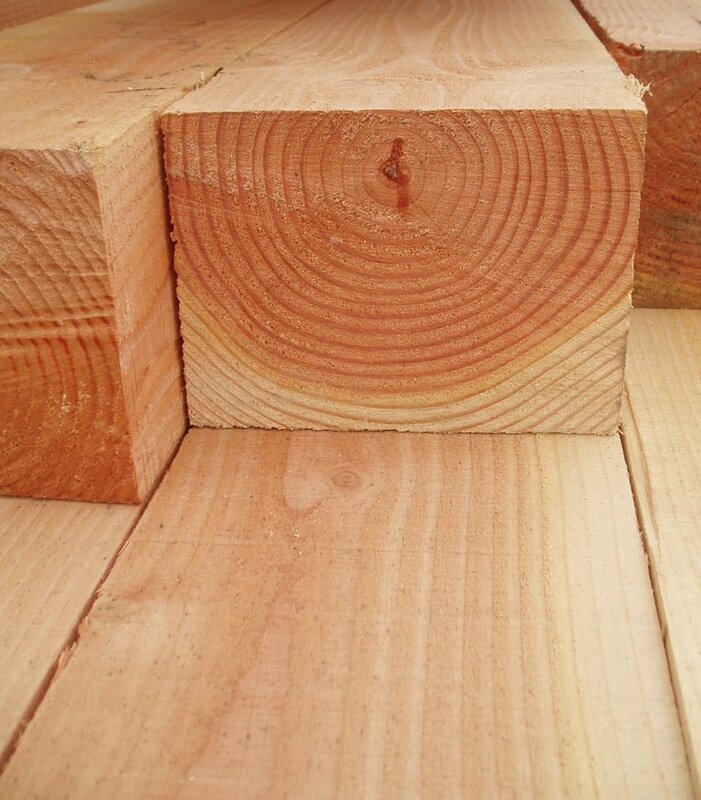 Heartwood douglas fir sections can be cut but are more expensive. 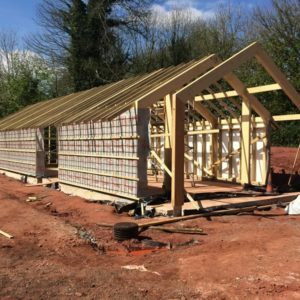 Douglas is very versatile and can be used structurally (grades up to maximum C18), and for cladding, fencing and landscaping applications.